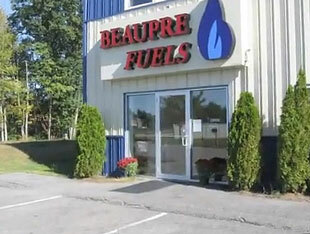 Kennebunk Propane Dealers-Propane Delivery from Beaupre Fuels. Beaupre is a true family business owned and operated by Michael Beaupre along with his sons Tim, Steve and Brian. They together continue the long tradition of providing dependable service to their customers throughout all of York County. 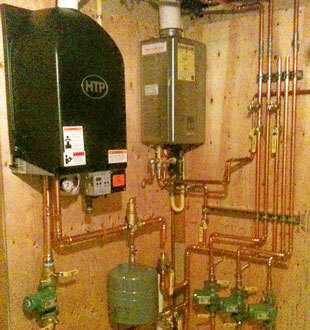 They are a full service heating company supplying Oil, Propane and K-1 along with a full compliment of services to repair, replace or maintain your heating system. The high level of quality in the fuel and equipment they sell will ensure your comfort year round. 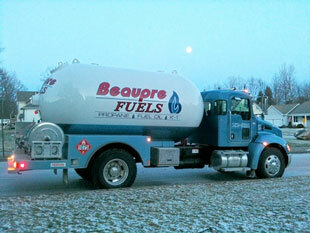 Beaupre Fuels provides #2 heating oil and K1 and propane to all of York County. 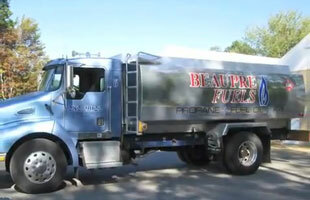 Ask anyone in the area, and they will tell you, Beaupre Fuels is simply the best at customer service, customer satisfaction, and providing each of their customers with a secure feeling that comes with knowing you have a dependable source from people that are concerned about your comfort. Beaupre Fuels will make sure that you get the right price, the right service and the right products for all your heating needs. Beaupre’s have a team of trained technicians certified to repair, replace or upgrade almost any boiler, oil furnace or gas heating system. Their master technicians are certified heating system experts who can handle everything from new system installations to annual preventive maintenance tune-ups. In addition to traditional and state of the art heating systems, Beaupre installs gas fireplaces from top-quality manufacturers.